We like solid front axles in 3/4-ton, 1-ton, and other pickups. They provide a time-tested toughness and simplicity that's hard to beat. In most cases, it's relatively easy to install a suspension lift over a solid front axle (something that doesn't translate to torsion bar and CV-based front ends). It's generally pretty straightforward to work on a solid axle, and parts are standardized and readily available. That said, a incorrectly-installed or badly-designed suspension lift can wreak havoc on the front end of a solid-axle vehicle. Worn-out parts, as well, can cause real problems. One of the most apparent and talked-about issues that can occur is popularly known as 'death wobble'. If you've ever experienced death wobble, you know that it's no fun. A truck in the throes of death wobble will feel like it's tearing itself apart, and can be extremely difficult to control. Here's a video of a Super Duty experiencing death wobble. Vehicles with solid front axles can be particularly vulnerable to death wobble. 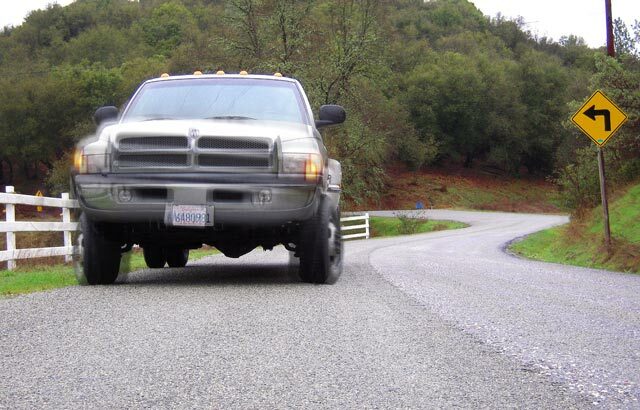 Recently, we stumbled across a fantastic article that our pals at Diesel Power Products posted up from Carli Suspension- it's the most comprehensive guide to curing death wobble on solid-axle trucks that we've seen. Hopefully this info can help a few of you who have been dealing with this unfortunate phenomenon. Click here to see the article from Carli Suspension.